where should I place the security cameras in my store? Every store is different in terms of its size and merchandise layout, but each has an exit and entrance, cash register station, and sales floor. Placing security cameras near high-traffic and unguarded areas within your store will help reduce the number of retail crimes. At the same time, properly installed security camera systems ensure that shoplifting and employee theft will be recorded on camera. Make certain employees and customers are aware they are being recorded. Post signs to notify everyone there is a surveillance system in place – that often acts as a deterrent to shoplifting. thieves, know there is a surveillance system in place. Cash Register: Cash registers are an extremely sensitive area and should be monitored at all times. Dishonest employees will steal directly from the cash register, and as a business owner with a never-ending list of responsibilities, you can’t always be there to make certain that all sales for the day have been accounted for. Security cameras should be mounted above the registers to monitor and observe all activity taking place at the registers, including transactions, refunds, and money counting. A view of the scanner would be helpful as well to make certain that all products are being scanned and paid for. Sales Floor: Always outfit your sales floor with at least one security camera. Depending on the size of your business, you may need a considerable number of security cameras to cover the space. All aisles or areas that are difficult to see should be monitored by cameras. 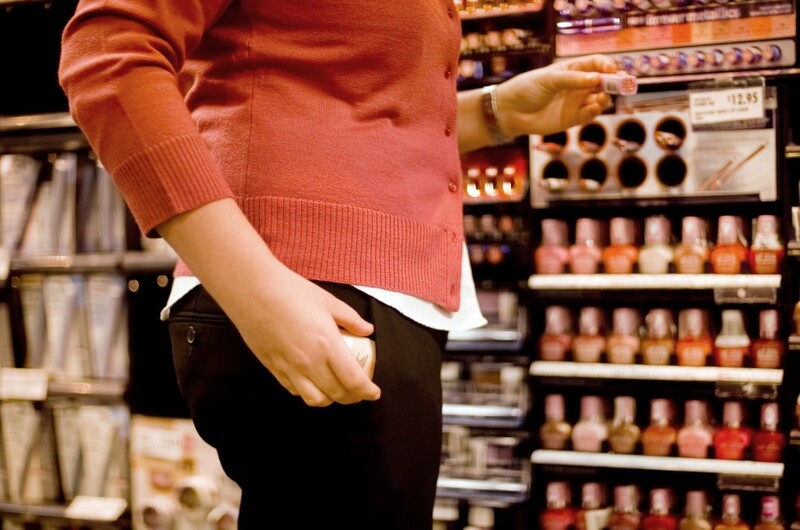 Shoplifters tend to migrate towards store locations that lack sufficient customer service or have less visibility. If your employees can’t see it from the counter or registers, you need a camera to cover it. Stockroom: Employees will often go into the stockroom in order to steal inventory. Security cameras should be mounted up on beams, drop ceilings, or main ceilings to oversee the inventory.